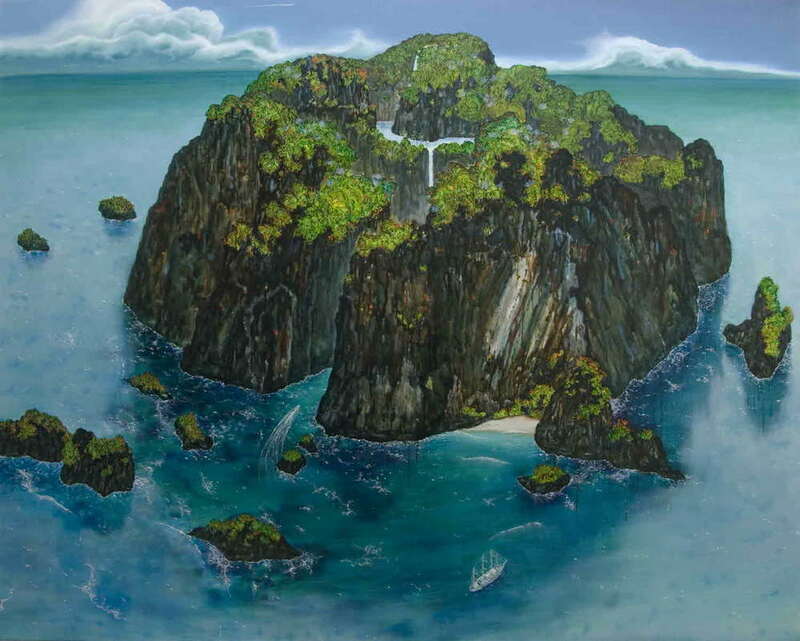 The beautiful sceneries described on Lee Hoin’s oil paintings resemble the photographs in honeymoon catalogues. He presents the scenes in order to show the desire of human beings which is hid deep inside. He assumes that there is no such place where people have not reached yet. Every beautiful place around the world has already been found and became a tourist attraction. Today’s travel means leaving to see the fabricated beauties following by the route of tour agencies. Lee is curious why human beings constantly have a strong desire to reveal themselves in the middle of the nature. Lee’s recent works describe the landmarks of Seoul, such as Lotte World Tower or Hangang Bridge. On the surface, it seems like his concern moved to artificial objects from nature. However, he still deals with the uneasy feeling arousing when seeing the places developed by human desire.